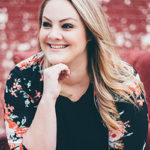 Sarah is an author, speaker, vlogger and blogger at www.journeyofsarah.com and the Huffington Post. 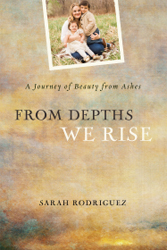 Her first memoir From Depths We Rise we recently released. She is the founder of the Choose Joy Project a “random acts of kindness” initiative. Sarah is married to her high school sweetheart and together they have 5 amazing children. Sarah is a one-time NYC transplant who now makes her home in Oklahoma, where the best sunsets on earth are found.